I’m not sure a bookstore event gets any better than hearing two articulate, funny, grassroots Presidential campaign veterans talk about the focal points and foibles of the current election year. 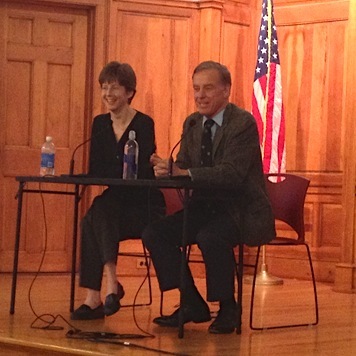 Former Vermont governor / 2004 Presidential candidate Howard Dean joined his longtime aide, Kate O’Connor, in Shelburne Monday evening to talk about her chronicle of life on the campaign trail —the good, the bad, the goofy, the exhausting, the exhilarating. 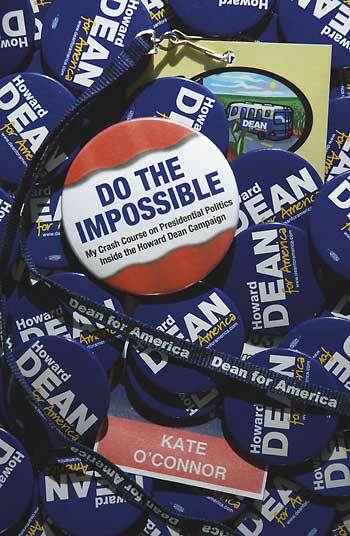 Do the Impossible: My Crash Course On Presidential Politics Inside The Howard Dean Campaign is a fascinating, surprisingly entertaining journal of the game-changing effort to get American voters engaged in politics and discourse. The Dean campaign focused on the coalition of individuals rather than deep pockets and big business, and used what was then a nascent social media to get the message out. It was a revelatory approach, and paved the way for future campaigners like, oh, President Barack Obama. And then it all blew up in Dean and O’Connor’s faces with a media frenzy — occasioned not by hypocrisy, scandal, abuse, or deceit, but by a moment of jubilance whose rawness startled some viewers — and was played by the media more than 600 times in four days. (CNN actually apologized later for its r ole in that.) And that was another hard-earned lesson on the trail: the power of the media to build or destroy, fast. These lessons and others made for riveting listening, especially when the conversation turned to the 2012 primaries. Both O’Connor and Dean were thoughtful (and very amusing) about the vast learning curve they encountered in their own campaign, and thoughtful and insightful about the new challenges facing those embarking on the quest eight Internet-changed years later. 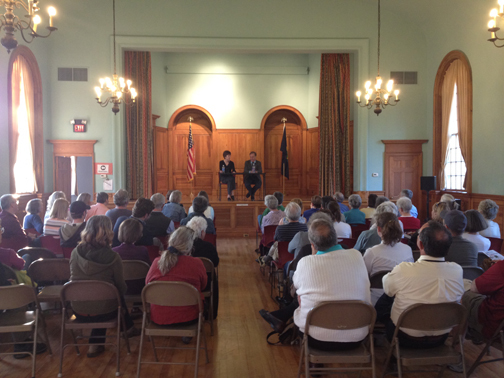 To be able to ask questions about the political process of two people who ran a viable, even game-changing, campaign for President is a rare opportunity, and made us grateful to be booksellers so that we had an excuse to invite these guests. We also love Do the Impossible because, while it has national import, it is such a Vermont enterprise: by and about Vermonters, and published and printed in Vermont by Northshire Bookstore’s new imprint, Shire Press. 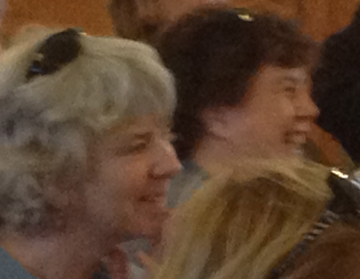 We know an event has been good when attendees seek us out to thank us for hosting it. We know it’s been great when they exhort us to contact the Speakers Bureau and get our guests on the road so that other audiences can benefit from their wisdom and inspiration. For bookstores and libraries wanting an incredible evening, we have to agree: Run, don’t walk, for this one! This entry was posted in Uncategorized on March 22, 2012 by Elizabeth Bluemle. I’m in Germany and couldn’t be there, but ANY event where Howard is present is worth attending if you can make it. He’s always engaging, aware, and more straightforward than anyone in presidential politics before or since (no wonder the media hated him–how DARE he speak his mind so candidly?). It was a wonderful evening. Intelligent questions and intelligent responses. Howard Dean’s campaign is still the most inspirational one ever. It inspired hundreds of people who never gave politics a second thought before…to run for office themselves. The book is a real page turner told in diary style making you anxious to know “what happened next”.